Submission to Peter is the right way to go. Since our reconciliation with the Holy See on 18 June 2008 statements have been made on the internet indicating that we had a ‘slow thorny’ road ahead of us and that we had been wrong to trust the Church. It was quickly pointed out that we had no faculties. We had to bear these remarks patiently; it is good for the soul. In truth though, the only thorn to be borne in these statements was that they came from those we love, some fellow traditional Catholics, seemingly intent on making the worst out of our decisions. In fact the road has not been ‘thorny’ nor has it been slow. Consider the facts. We were received by the Church as a community wanting to remain as such; but according to Canon Law we were not incardinated anywhere in the Church structures either individually as priests or collectively as a community. Normally speaking since we were not incardinated anywhere we would be without faculties until everything was perfectly regularised; this would take time. But the Church being a true mother, aware of the needs of the community and the faithful in Stronsay who have recourse to us, has granted us interim faculties to see us over. Surely since the Motu proprio of 7 July 2007 there should be forgiveness and a return to trust in the Church. This is what we have done. We trust the Church. We trust the Holy Father. We are not being abused by the Church or the Holy See; as some have said. We are not being forced to say the New Mass; as many say. We are not being trapped to be destroyed. Dear friends we are being supported and accommodated without anybody asking us to compromise anything. The bishops of Aberdeen and Christchurch have gone the extra mile beyond the limits of the canonical requirements. This is well worth noting. My experience of the Holy See and regularisation has been excellent. It has not been a bad experience. We invite any priest who wants to consider being reconciled to the Holy See, to stay on Papa Stronsay for as long as he wants, anonymously and with no strings attached. Submission to Peter is the right way to go. On 31 October, 2008, the Right Reverend Peter Moran, Bishop of Aberdeen, granted faculties to Fr. Michael Mary and to Fr. Anthony Mary. These faculties include jurisdiction for the sacrament of Penance in both Papa Stronsay as well as the monastery chapel on Stronsay. Yesterday, 18 November Bowen passed into eternity. Between Sunday morning and Tuesday evening everything was accomplished as God had willed it. On behalf of his family and friends I sincerely thank you for the prayers that you have offered for him. Casting about in grief one seeks to find some meaning and make some sense of tragic events. Signs of God’s will help us submit to God’s Providence that governs all things. Last night we received an email from a young monk of the great Passionist Order living in Spain. His message was a little sign of God’s will for Bowen. The young monk wrote to tell us that Bowen died on the feast of Blessed Grimoaldo. What was amazing, and a sign of God’s Providence, was that Grimoaldo died on the same day as Bowen; that he was exactly the same age, 19 years old; and that he died from exactly the same cause, acute Meningitis. A coincidence? Yes, of course it is, but more than a coincidence for those who have faith and believe that God’s will governs all things. The young Passionist monk was also struck by the coincidence of events and faith allows us to see something of the mystery of God’s Will in this tragedy. Blessed Grimoaldo is the only 19 year old saint, who died from acute Meningitis. 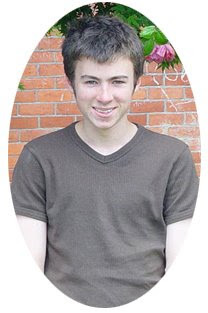 That both he and Bowen were 19 and died of acute Meningitis on the 18th November gives some tiny glimpse into the mysteries of God’s Holy Will. There are reasons, unknown to us, for everything. We are always in the care of our most loving God and the angels and saints. If no sparrow falls to the ground without our Father in heaven knowing it and willing it, then even more so it was with Bowen. And a saint called Blessed Grimoaldo had answered the same call from God on the same day and at the same age. God is so good! Blessed Grimoaldo pray for Bowen; as you would say, your "companion in death." 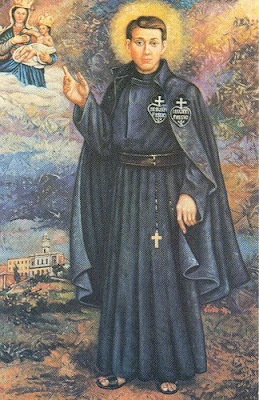 Blessed of the Purification (Fernando Santamaria) was born May 4, 1883 in Pontecorvo, Frosinone, the oldest of five children. He professed his Passionist vows at the age of 17 on March 6, 1900 and began his studies for the priesthood at the Ceccano retreat. Two years later he contracted acute meningitis and died on November 18, 1902. His rapid ascent to the heights of perfection are attributed to his exceptional devotion to Mary Immaculate, to whom he had been consecrated as a child. Pope John Paul II declared him Blessed on January 29, 1995. Born to Peter Paul and Cecilia Santamaria on May 4 1883 and baptised Ferdinando the following day, his parents ran a small rope-making business. They were a devoutly Christian couple and in an extra-ordinary occasion Grimoaldo received the sacrament of Confirmation at the unusually young age of five months. An altar server from a young age, Ferdinando was also a member of the church choir and the Sodality of the Immaculate Conception. A neighbour testified that on one occasion he saw Ferdinando lifted from the floor whilst in prayer. In 1850 members of the Passionist Congregation took possession of a monastery in the locality and Ferdinando soon became familiar with them, copying their lives of penance. His father encouraged him to continue working in the family business, but Ferdinando had become convinced that he wanted to join the Passionists. He was not yet 16 and his age prevented him from entering the monastery, whilst waiting until he was the required age Ferdinando took up lessons in Latin. He entered the novitiate of the Passionists on March 5 1899 at the monastery of St. Mary of Pugliano taking the religious name Grimoaldo of the Purification. "His Divine Majesty is here, he has come for me today, and I, together with him, must go to Rome for Cardinal Aloisi-Masella. I must be his companion in death." The Cardinal died four days later. 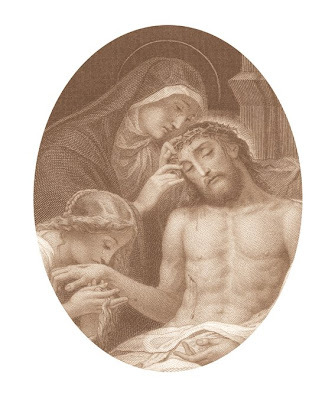 When suffering in this Vale of Tears, we look to heaven for succour and for consolation in grief, only to acknowledge that there is no solace that can compare with the Holy Sacrifice of the Mass, where, in an unbloody way, the death of Our Lord is made present on our altars. Every new day's Mass has a special Lesson and Gospel assigned to it. In the Mass for 18 November, which is that of the Dedication of a Church, the Holy Scripture speaks directly to the hearts of all who mourn the death of our young Bowen. It says: "et absterget... And God shall wipe away all the tears from their eyes: and death shall be no more. Nor mourning, nor crying, nor sorrow shall be any more..." (Apoc. 21:4) As sinners, we feel the weight of our lowliness and we hope that Our Lord will notice us, not disown us, and even have a merciful word in our regard. Of course, today in our sorrows, ever providing for us, Our Lord has just such a kindly word that we may rightly apply to Bowen. In today's Holy Gospel, Our Saviour notices Zacchaeus who had perched himself up into a tree in order to catch sight of Him. He looks up to Zacchaeus, speaks kindly to him and personally associates Himself with Him. Even more than this, He defends Zacchaeus publicly saying to the crowd: "eo quod et ipse filius sit Abrahae ... he also is a son of Abraham." (Lk. 19:9). This day that brought sorrow, grief and mourning to us who are Bowen's family and friends, also, in the Mass brings us hope and spiritual consolation. This earthly life that the Church so rightly calls a Valley of Tears, is, nevertheless greatly brightened with the light that comes from the gift of Faith. That light penetrates human darkness and allows us to see beyond this life. As a child of God, a son of Abraham, a baptised Catholic, Bowen entered into eternity fortified by the Sacraments and the rites of our holy Mother the Church. He died clothed in the Scapular of Our Lady of Mount Carmel, to which is affixed the promise,'Whosoever dies clothed in this Scapular shall never suffer eternal fire.' Our Bowen went to God supported by our prayers and the Holy Sacrifice of the Mass. Now he has entered eternity. We cannot leave him there, as it were, by himself; no, we accompany him by our prayers, rosaries and especially by having the Holy Sacrifice of the Mass offered for the repose of his soul so that, should he be in purgatory, he may quickly be entirely cleansed and enter into the joys of heaven. The Holy Mass will be offered for the repose of his soul on several altars; our love for him continues beyond the grave because he still exists, he is an immortal soul; once born in time he will always exist in eternity. Therefore, although we mourn his passing, we do not mourn like those who have no hope; but with love and confidence we pray for Bowen's soul: Eternal rest grant to him, O Lord, and let perpetual light shine upon him. May his soul, and the souls of all the faithful departed, through the mercy of God, rest in peace. Amen. Bowen Holgate, R. I. P.
Bowen Holgate, best described as having a 'gentle and quiet' character, was admitted to the Intensive Care Unit of the Timaru hospital on Sunday 16 November at 7.00 a.m. He received Extreme Unction at 10.00 a.m.
By 2.00 a.m. Monday his condition began to deteriorate. Clothed in the Scapular of Our Lady of Mount Carmel, beside the image of Our Lady of Perpetual Succour and with the holy Rosary in his hand, Bowen Holgate passed into eternity at 10.30 a.m. NZT on Tuesday 18 November, the feast of the Dedication of the Basilicas of St Peter and St Paul in Rome. Requiem Mass will be offered for the repose of his soul in the Basilica of the Sacred Heart, Timaru, at 11.00 a.m. on Friday, 21 November, Feast of the Presentation of the Blessed Virgin Mary in the Temple. We gratefully thank you, our friends, who, in your charity, kindly offered prayers for Bowen when you heard of his plight. Now that he has passed into eternity we ask you to still remember to offer a little prayer for his soul and another for the consolation of his dear parents and sisters. May God reward your compassion. "O vos omnes.. O all ye that pass by the way, attend, and see if there be any sorrow like to my sorrow...." (Lamentations 1:12). comfort the mother and father of this boy. 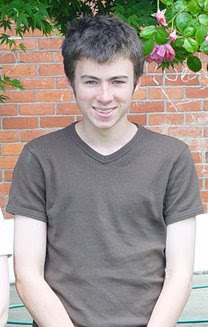 I ask you urgently, to please pray to Our Mother of Perpetual Succour for my nephew, Bowen Holgate, a young, Catholic, New Zealander, 19 years of age. Bowen had just returned home for the University holidays, when on Saturday, without any warning, he collapsed. Admitted to the Intensive Care unit of the Timaru hospital, Bowen was diagnosed with Cerebral Meningitis and is now on a life support machine. I ask your prayers for him to obtain all the graces he can as yet receive. Please pray also for Bowen's anguished mother and father, Angela and Ross, and his sisters Grace and Claudia. We are very grateful to you for your kind prayers in this painful time. For Thy Name is help in life, salvation in death. let Thy name henceforth be the breath of my life. in the very thought of Thee. this Name so sweet sweet, so amiable, so powerful. But merely to pronounce Thy Name is not enough for me. I wish to do so out of love. 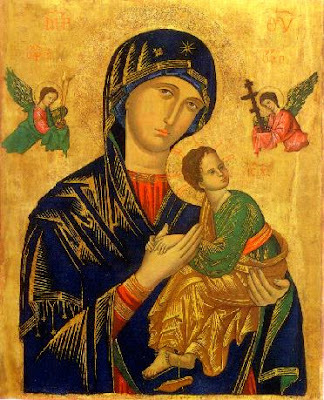 Mother of Perpetual Succour. Amen. Mother of Perpetual Succour, pray for him !